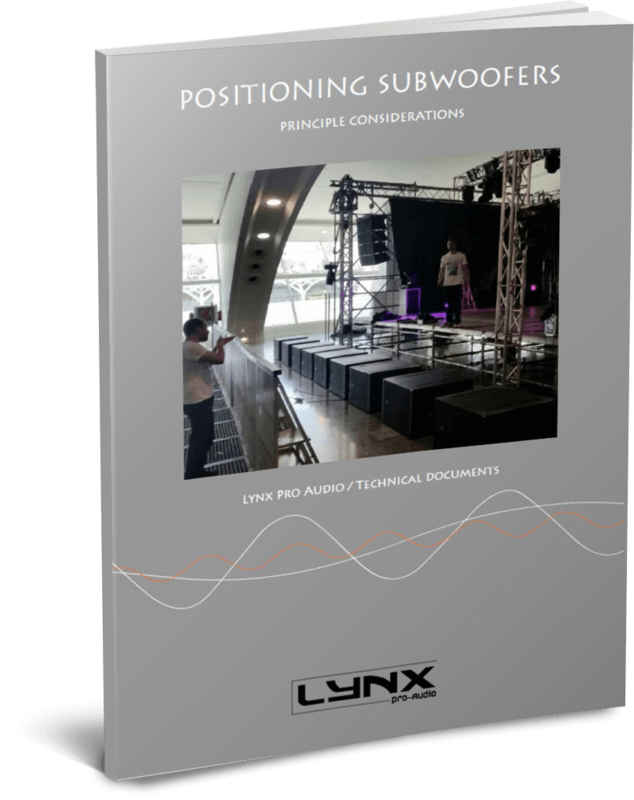 Through this notice, LYNX PRO AUDIO, SL, with NIF B-98.302.722, and address in C / 1, Plot D-5 Industrial Estate of Picassent 46220 – Picassent – (Valencia) (hereinafter, the Service Provider ) informs users in compliance with article 13 of Regulation EU 2016/679 of the European Parliament and of the Council, of April 27, 2016, regarding the protection of personal data (hereinafter, the Regulation), for the purpose of that they decide expressly, freely and voluntarily, if they wish to provide the personal information requested on the website for the provision of their services. It is also reported that the purpose of the treatment to which the data provided by users is intended is exclusively to process your request or query made through this website and, if appropriate, if users expressly consent to it through the marking of the corresponding box at the foot of the data collection form, sending information about the activities of the Service Provider that may be of interest to you, understanding that by sending your data you expressly authorize the Service Provider to process your data with the above purposes. The consent given, which constitutes the legal basis that legitimates the processing of the data, is revocable at any time without affecting the legality of the treatment based on the consent prior to its withdrawal. Unless specifically stated otherwise, it will be considered necessary to complete all the data required in the data form. In the case of not providing all the estimated data as necessary, the Service Provider may, depending on the case, not take the specific request that is made. The data provided will be kept until the moment when users decide to revoke their consent to treatment. Users must fill out the forms with true, accurate, complete and updated data, responding to any damages that may be caused by the defective filling of the forms with false, inaccurate, incomplete or outdated information. The Service Provider has adopted the security levels of protection of personal data required by current data protection legislation, installing the necessary technical and organizational measures to prevent loss, misuse, alteration, unauthorized access and other possible risks. Likewise, the Service Provider undertakes to comply with its obligation of secrecy of personal data and its duty to keep them and take all necessary measures to prevent alteration, loss, treatment or unauthorized access, taking into account at all times the state of technology. Users or persons representing them may exercise at any time the right of access, rectification, deletion and, where appropriate, opposition in accordance with the provisions of the Regulations, by directing a written communication to LYNX PRO AUDIO, SL, in the following postal address C / 1, Plot D-5 Industrial Estate of Picassent 46220 – Picassent – (Valencia), and / or electronic rgpd@lynxproaudio.com in which the identity of the user is accredited. In the event that the Service Provider provides some kind of special service in which it determines specific provisions different from these, in relation to data protection, the application of the particular rules indicated for that particular service will have priority. of those present, in case of incongruence. The Service Provider reserves the right to modify this policy, previously informing the users of the changes that are introduced in it. Users have the right to file a claim with the Spanish Data Protection Agency if they believe that their data protection rights have been violated.